Shane Duggan fired a stoppage-time penalty to grab a point for Waterford FC in the 2-2 at home to Derry City. Waterford FC are back in action this Monday as Derry City make the long journey to the RSC. Shane Duggan and Zack Elbouzedi fired Waterford FC to a fully-deserved 2-0 win over Cork City on Friday night. Waterford FC return to the RSC this Friday night as Cork City visit for the first time this season. Waterford FC are back on the road again this Monday with a trip to The Showgrounds to take on Sligo Rovers. 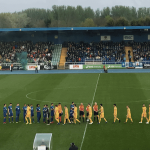 Aaron Drinan's late goal proved only a consolation as Waterford FC lost out 2-1 to Shamrock Rovers. 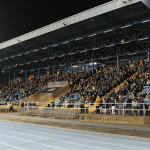 Waterford FC are on the road again this Friday with a trip to Tallaght Stadium to face Shamrock Rovers. Waterford FC have been drawn away to Bray Wanderers in the EA SPORTS Cup.